I absolutely love this dress! 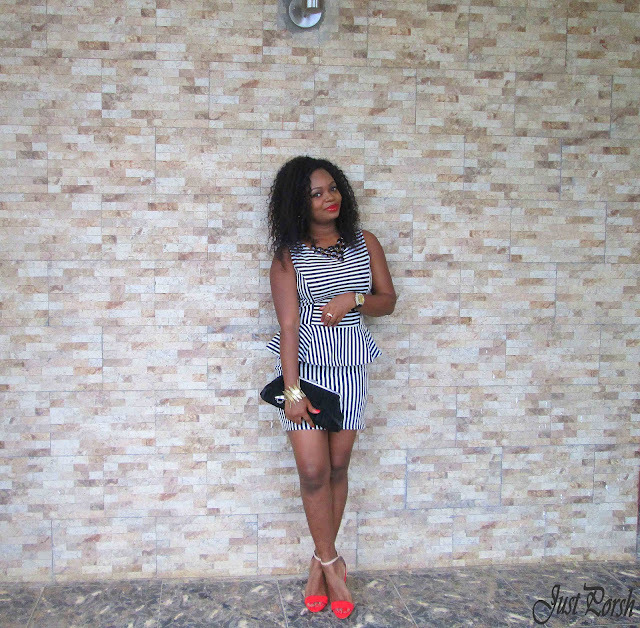 It comprises of 2 of my favorite trends, Peplum and Stripes/Monochrome. The vertical and horizontal lines work for each part of the body. 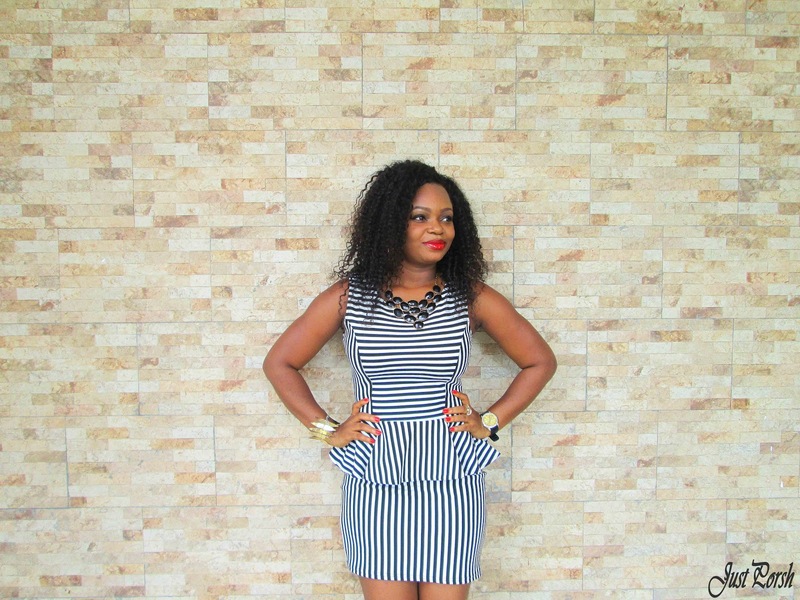 The horizontal lines makes the bust area appear wider while the vertical lines would make the legs look longer. I've wanted this sandal for a really long time but Zara doesn't ship to Nigeria (bummer! See full lamentation Here). But when I found out it was on sale, I just had to have it. A very lovely friend of mine helped me place the order and went through the hassle of shipping it down to me, Isn't she amazing?! I originally wanted it in black but it wasn't available in my size so I had to get the red and I'm glad I did. I was soo excited when I got the parcel. I never thought I would wear ankle strap sandals even though its a huge trend right now but I looovee this baby! What are your favorite trends? 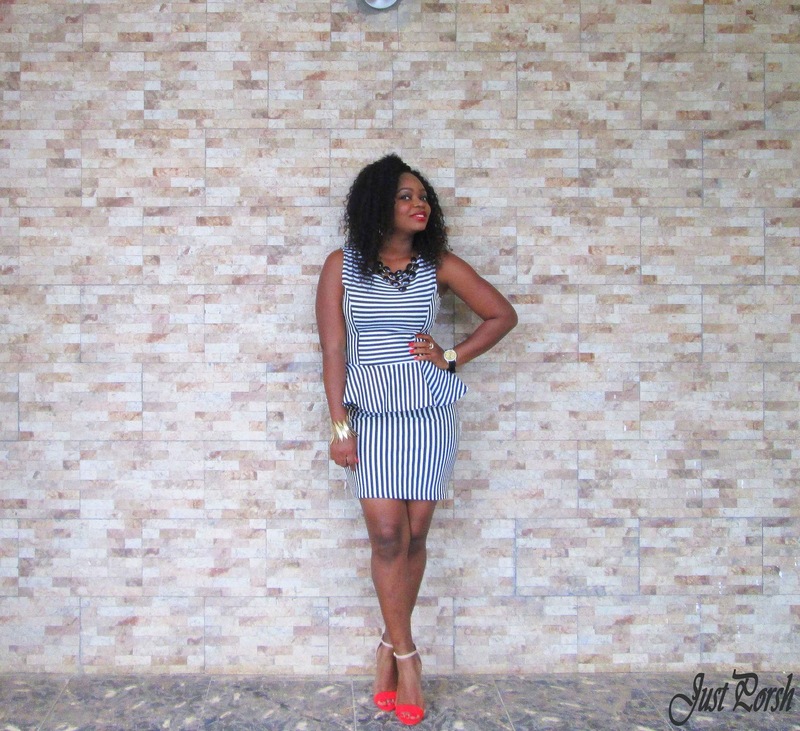 How would you style a peplum striped dress? "See how very much our Father loves us, for He calls us His children, and that is what we are! 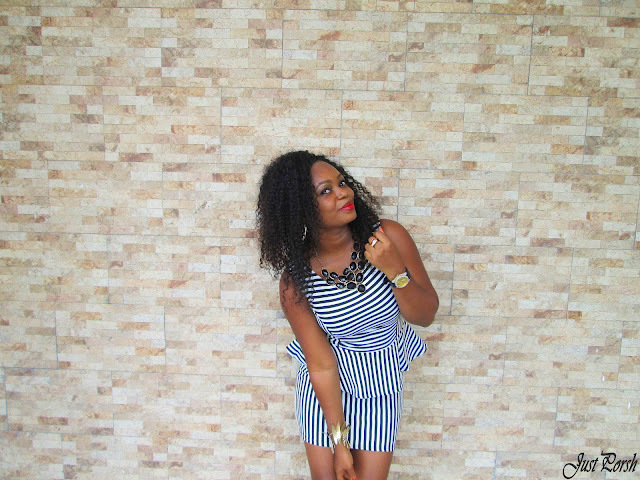 But the people who belong to this world don't recognize that we are God's children because they don't know Him"
I am in love with stripes this season. Classy dress. The shoes r more comfortable da I actually tot. Gorgeous!! I need to get me a pair of ankle strap... they are so elegant. one ques..does ur toes extend more than the shoe in front? the one i tried at the mall pushed my feet forward resulting in a space between my heel and the back of the shoe and my toes outside the shoe in front. Love your shoes. 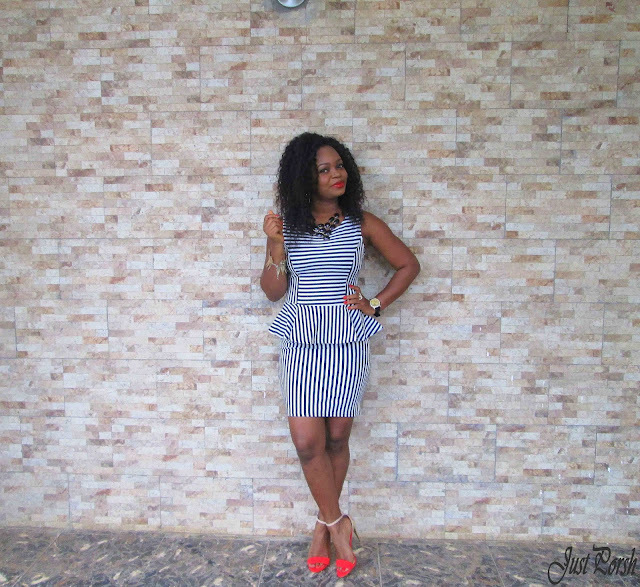 Loving peplum all around too. Cute outfit. This dress is perfect on you and you are right you want the dress to be the centre of attention so the minimal jewellery and shoes are a great option. You have such a great friend to help you with the shipping - can't believe you don't get to shop in Zara! 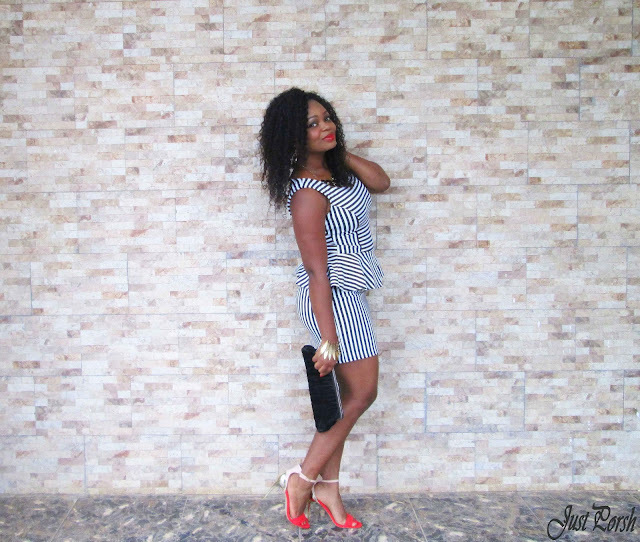 Congrats Porsh dear and lovely outfit too. Btw reply my e-mail. You perfectly rocked this dress. 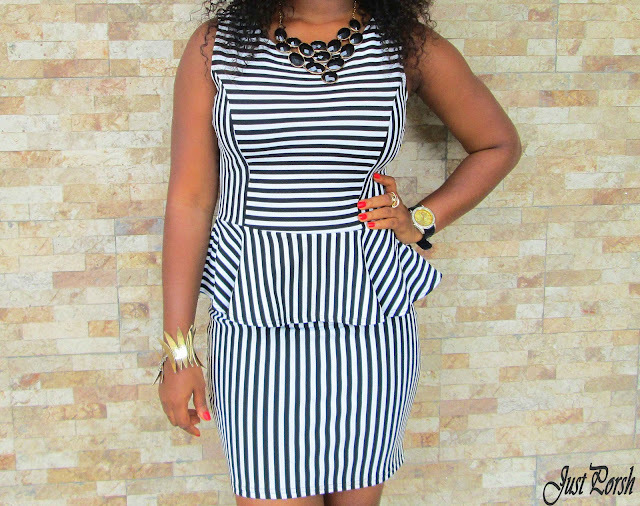 I love peplum and stripes trends, so I'm in love with your dress. And it's perfect with these red shoes. Please whats the name of your hair, its really gorgeous! i'm a huge stripe fan (just did a whole week of stripes last week! ), but add the peplum and this dress is amazing! you look great!